Sierra International Co., Ltd. was established in 1993 with approval of the Ministry of Foreign Trade & Economic Cooperation of the P.R. China. Our company is located in Qingdao City of Shandong Province, North China. 1. Eco-friendly bags: non woven bags, calico bags, canvas bags and some promotional textiles such as t-shirts, aprons, caps,flags, picnic mats etc. 2, Infant wear and kid's wear. We hold several manufactories in Shandong Province. And dozens of little or medium-sized export producing factories have also formed into our steady supplying channels. In the year of 2008,the company's turnover is up to USD 8,500,000. Besides the traditional markets---America, Japan, Australia and Europe, we have also established business relationship with more than 15 countries in the world. The high-quality products, the very competitive prices, the on time delivery and the thoughtful service after sale gain us a good reputation. 1. Competitive price, hunman resource and electric cost of Shandong Province are more competitive than other coastal provinces in China. It enable us to offer very low prices for our customers. 2. Minimum quantity for each order are from 1500 pcs to 2000 pcs. 3. 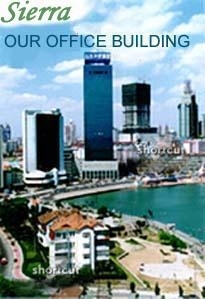 Qingdao sea port is the second largest sea port in Mainland China. So we are able to provide our customers the stable and prompt goods delivery. 5. Prompt reactive ability, generally samples will be completed in 4-7 days. And 90% of our samples are accepted by our clients at the first time. 6. Sound quality control system, six experienced QCs working for the weekly quality control. 7. We have several experienced designers who are familiar with garment & textiles design, so OEM and ODM orders are all welcome. * The 10th floor, Shandong Internatioal Trade Mansion, 51 Taiping Road, Qingdao, China.